Is it lunch time yet, or do these veggies just look good enough to eat? 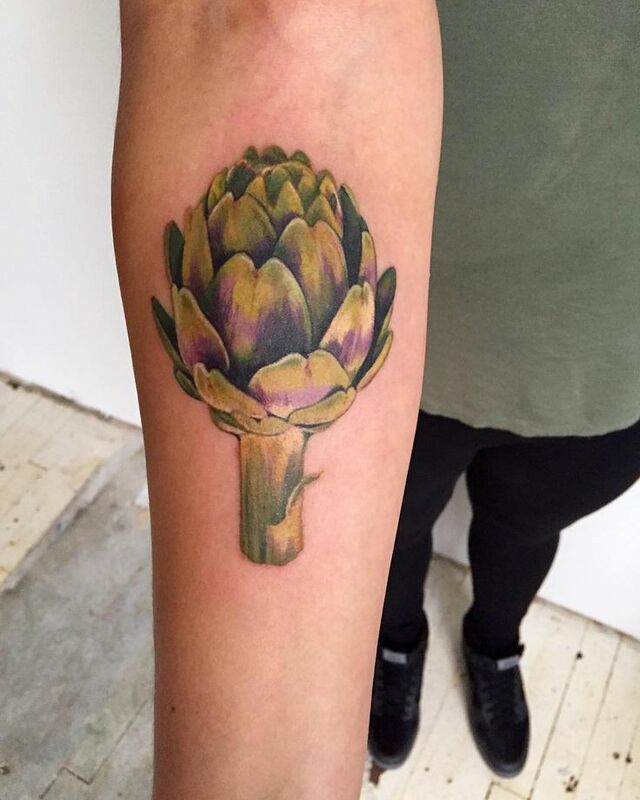 Food tattoos can be some of the most unique, enjoyable, quality, and… delicious ink around. Vegetables say a lot about personality and offer tons of opportunities for beautiful pieces full of contour, line variation, and gorgeous color palettes. They also possess some of the most important and vital nutrients in the food pyramid. When your parents tell you to eat your veggies, they really mean it– and you should probably listen. 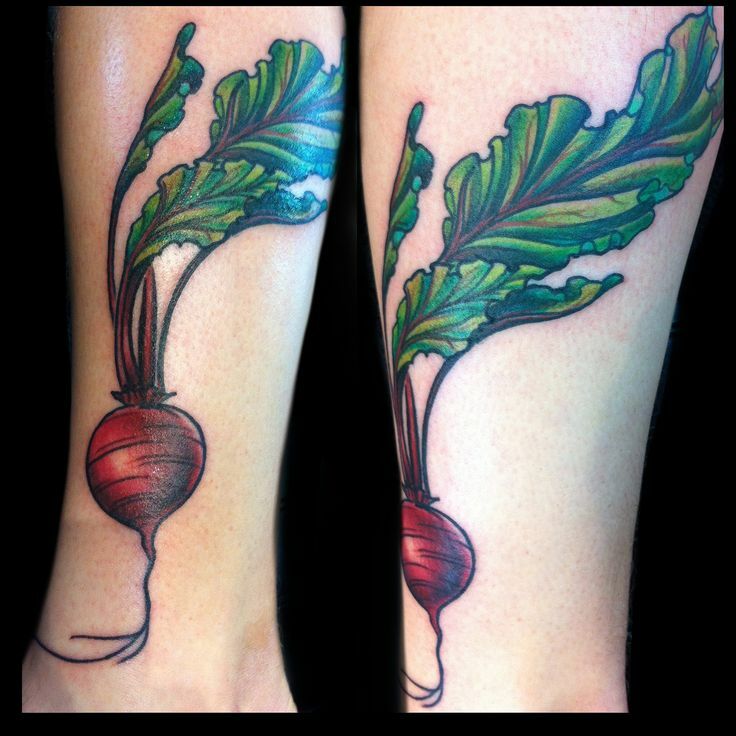 You may not get all of the vitamins and minerals you need in your ink alone, but here are some satiable veggie tattoos that will leave your mouth watering and your body feeling great! Is it a turnip or a radish? The world may never know, but that doesn’t stop this root veggie from having gorgeous green hues in the leaves and a shine that makes this little guy look crunchy enough to take a bite out of. 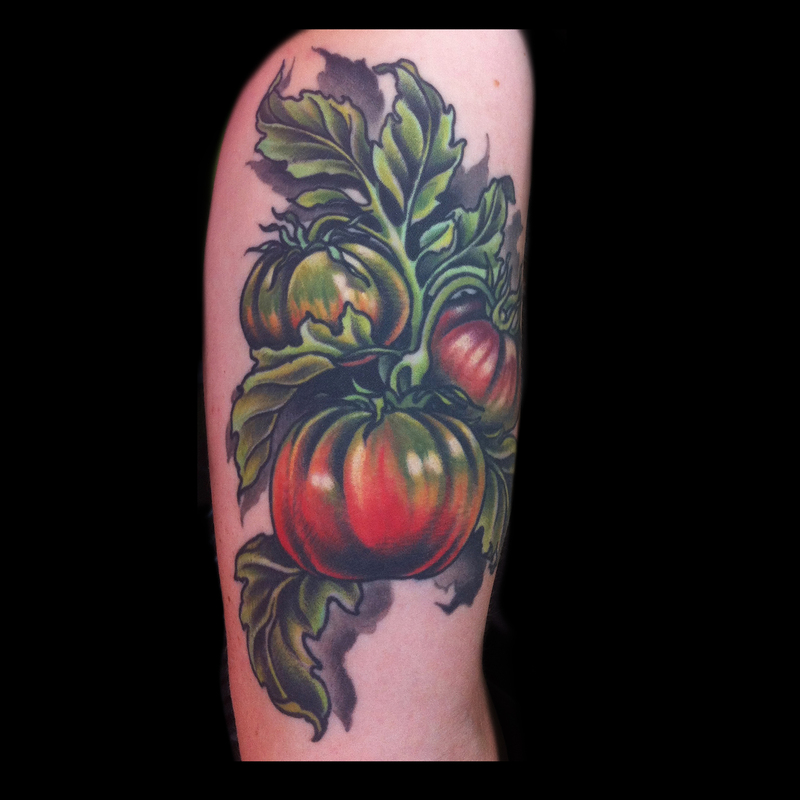 Here is a stunning piece that shows a different side of tomatoes. These heirlooms contain a luscious shade of red, yellow, and green that make people appreciate them for more than just their taste or nutritional value. These knuckle tattoos are fantastic and perfect for any aspiring chef or dedicated foodie. Perhaps each fruit and vegtable is considered a favorite in their kitchen. 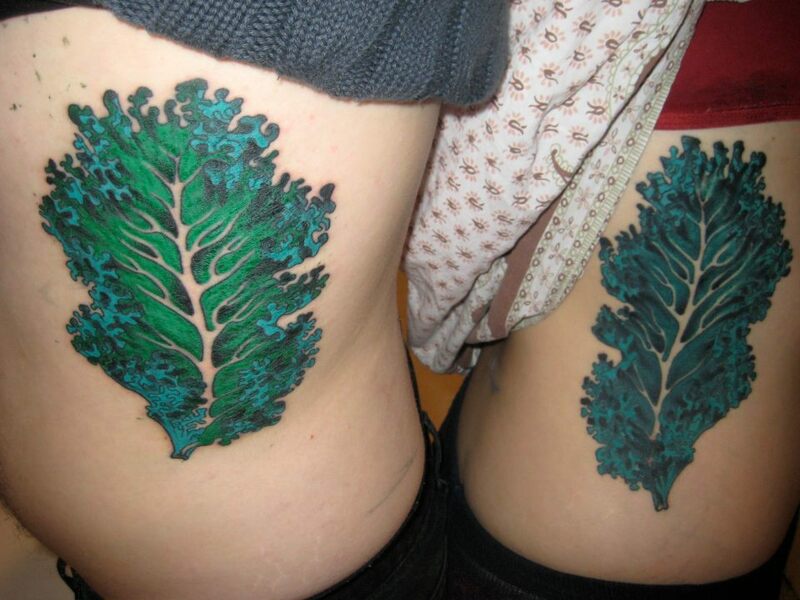 This stunning couple’s tattoo offers a paper cutout and almost geometric look to the food group. 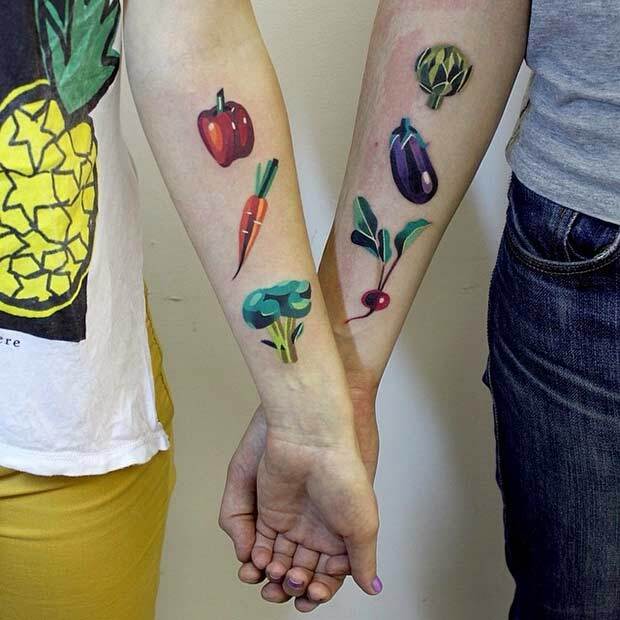 Food lovers or a culinary match made in heaven, this tattoo pair is almost too precious to devour. Everyone loves asparagus, even if it’s not in season. This lucky appreciator never has to worry about that when they’ve got the delightful veggie carved into their ankle year round! Artichokes are vegetables with immense personality. They can be purple, green, brown– their heart hides beneath a series of thorny petals. They offer complexity with a reward that is well worth the wait and fight to get there. Maybe this person does too. Lastly, who could forget kale? It is a popular dark leafy green in the health world that was once only seen as a garnish. This piece showcases the true beauty of the superfood, and you even still have to wash it first!